Georgia Restaurant Professionals invites you to help raise money for the Atlanta Community Food Bank! 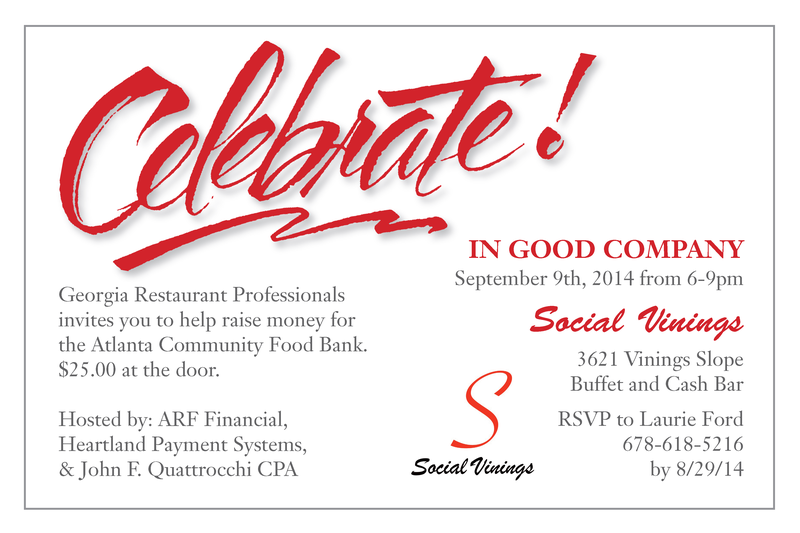 Georgia Restaurant Professionals invites you to help raise money for the Atlanta Community Food Bank on September 9th at Social Vinings. The Atlanta Community Food Bank is our favorite charity and we invite you to make a donation to the ACFB and mingle with restaurant professionals in September.